Compact, Cute, and Small as a baby’s boot. The iCare is a small device that fits perfectly in the user’s palm. It also uses a function that most vapers haven’t seen in a long time. 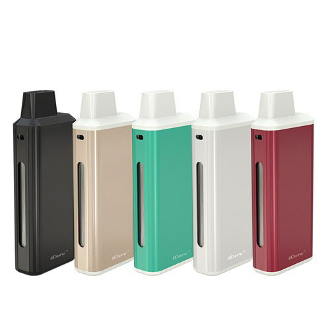 The device is automatic which lets the Vaper have a simple hands free automated device. With just an inhale the iCare heats up the liquid for a smooth controlled vape. The device consists of an internal 1.8ml tank and an airflow system. Simply pop off the top white cap to access the built in structure. Ignoring the piece that is labeled as “do not touch”, grab the silver pin and twist until you feel the structure give way so you can pull it out. When the entire silver insert is pulled out you will notice your coil located on the end of the structure. This is where you will be able to change your coil to keep your flavor fresh and clean. You will also notice a long empty hole where the silver insert used to be. This is your e liquid fill zone! It holds a total amount of 1.8mls of e liquid and has a max fill line written on the window located on the front of the device. The iCare Kit comes with a 650mAh battery capacity which can easily be charged with its USB Charging Cord. Due to its pass thru function the iCare can be charged and vaped at the same time for convenience. When plugged into the USB Charger, or while vaping, the iCare will display one of three colors: Green, Yellow, and Red. Just like a stop light the green indicates that your device is ready to go with a battery percentage between 100-16%, the yellow means your device is slowing down with a battery life of 15-6%, while red lets you know that your e cigarette is about to stop working with a percentage less than 5%.